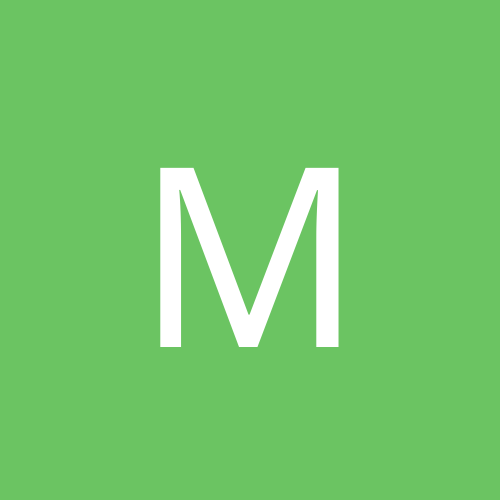 "Hello speedmappers, I'm BBG, one of the new hosts for these events. Please, read the theme, which will not explain our rules but will explain your task for this evening. If you have any questions or comments, please feel free to contact me via IRC or email. 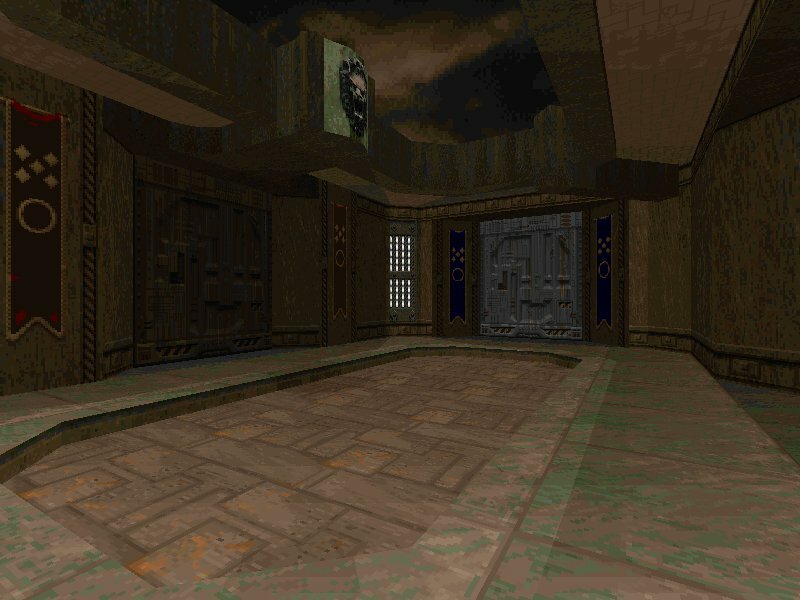 "The theme in question was to create Doomguy's home, attacked by demons et al. Two maps, one of which is a joke map (but completable nevertheless) and the other a small indoor map with a couple of ok fights. A pretty big map, set in a city-based UAC techbase. True to form, the map is highly detailed, with some nice realistic touches, but unfortunately the map also suffers from the flat, mostly linear layout and repetitive gameplay like the Outpost maps do. There are 3 new weapons though, and it's never easy, getting gradually tougher throughout, culminating in a very tough, scary battle. There's also an innovative (and increasingly familiar) ending to the map. 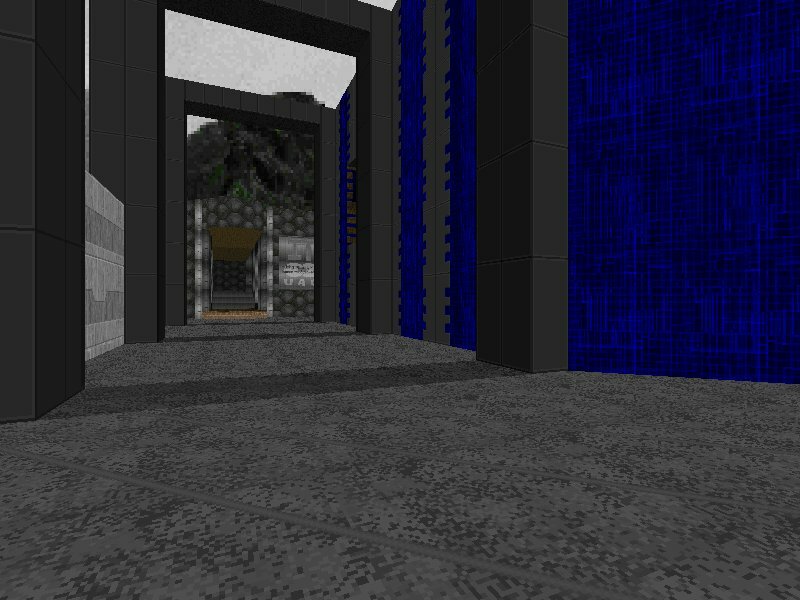 But it's flaws mean that this map is probably for challenge-seekers, fans of Ismaele's other maps and industrial/tech fiends only. Whoever made this map has obviously been reading the recent E1 thread. A small map set in a base with an authentic Phobos look and feel about it. The layout, detail and texturing are authentic Phobos, and so is the gameplay. (ie. ridiculously easy). Despite the presence of shiny metal in one room, this is certainly a genuine tribute and one that most people should enjoy. 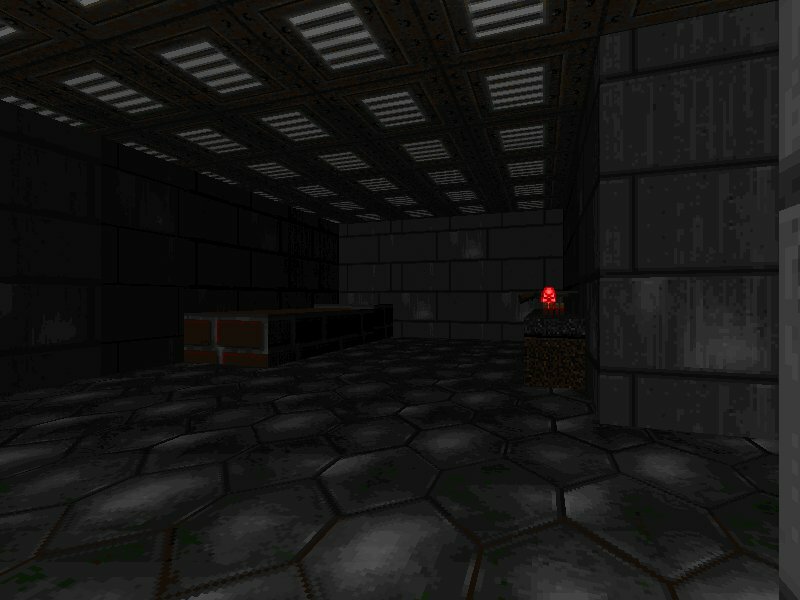 A pair of small, ambient ZDoom maps. 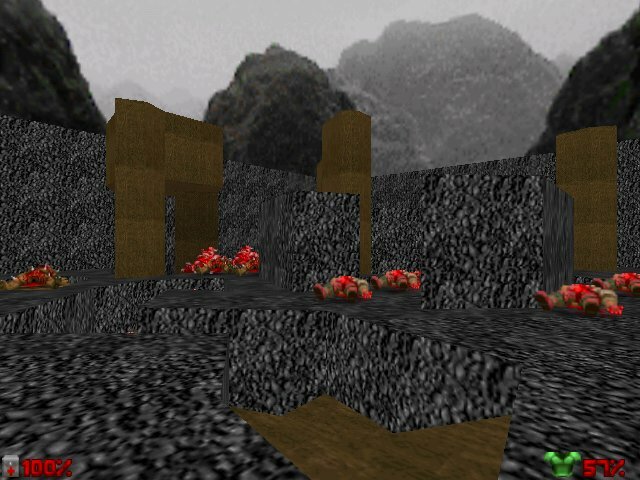 Both are set in bases and are not that detailed, despite the presence of slopes and other ZDoom features. Gameplay is a bit better, with new weapons, one altered enemy and some neat battles done by scripting. It's not too difficult, and the railgun is using only 1 cell a shot (which IMO isn't too good), but the atmosphere is quite good and it is quite enjoyable nevertheless. A small demo map designed to preview an upcoming project. The detail is quite good, particularly with the lighting. 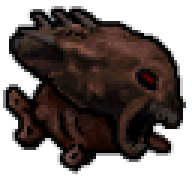 Gameplay comprises of mostly small monsters, but ammo is a bit short and you'll be relying on that pistol quite a lot. Health is finely balanced too, so expect a small-scale challenge on this one. Not bad, and certainly a good opener for the project when it's finished. 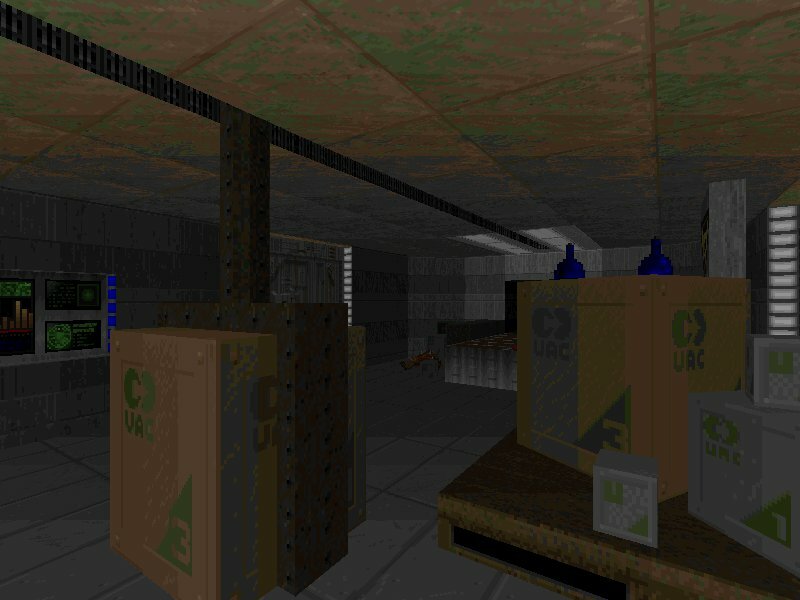 An update of E1M7 from an old Doom 1 episode called Industrial Techware. It's a large map which doesn't really know what it wants to be, as there's a mix of everything from hell and gothic to industrial and tech. They're not segregated either, giving the impression of a patchwork quilt. Detail has been improved in many places (and is quite good overall), but some of the bare areas still remain. It is reasonably challenging though, with plenty of monsters, a reasonable health balance and some heavy encounters, although there's quite a lot of ammo. But it's certainly an improvement on the original, and this version's even clean, too. 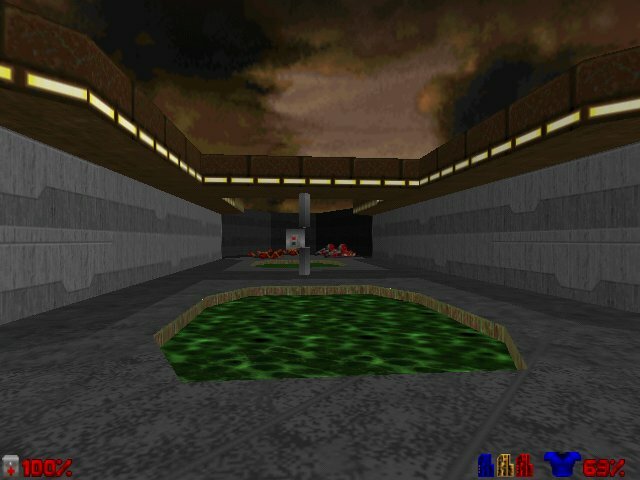 OMG, a JDoom map! Apparently a recreation of the author's first map, so that's probably why it's quite small and fairly uninteresting. Replacing E1M1, it's basically an outdoor area made to look like some kind of crash site, with a dark passage leading down. Detail lacks overall, except for the uneven ground in the outdoor area. There's plenty of monsters for a map this size though, and the pistol gets used quite a bit, too. fp! If you can't beat 'em, join 'em. waste processing was fun, play it you fools! Damn! I screwed up the time zones and failed to get FP. and fix the broken screenshots. How does one become informed of these speedmapping competitions? 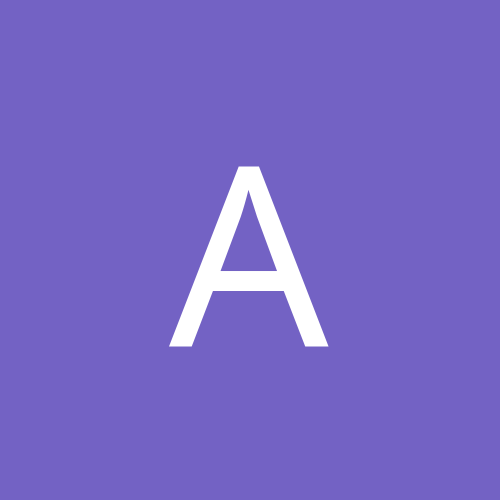 Forum posting? Irc? Telepathy? Voodoo magic? Anyway, I'd like to participate if they're open to the public. Speedmapping is held whenever someone feels like hosting it. 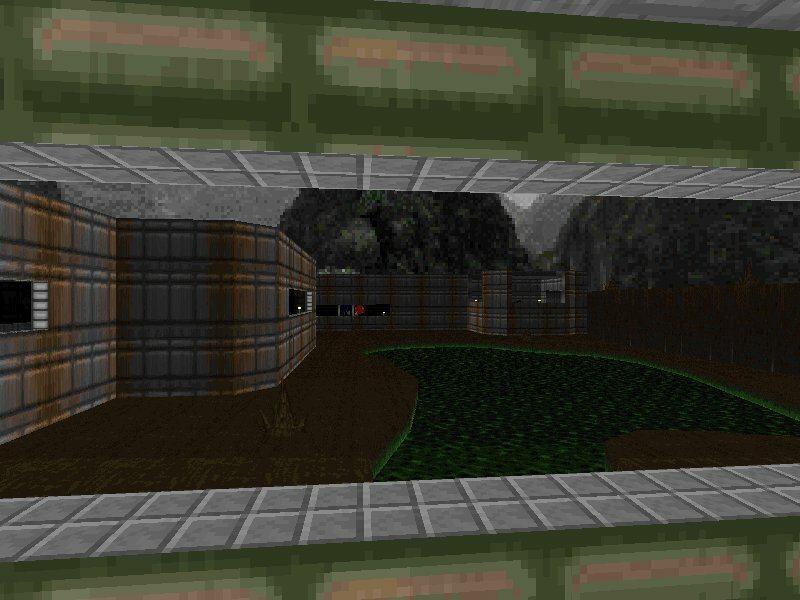 Speedmapping is in the zdoom chat -- irc.oftc.net in #zdoom (I think). There's no certain time anymore. i might start hosting them again regularly in october, if nightmare doesn't get back into it soon. On blitz, good review of it, loved the assault gun. On waste processing: damn, took me a long while to find the red key. It's easy but it kept my interest. Would like to play the insane variant. Best wad of my newstuff. Preload: Love the gameplay, think there could be 8 shells less or so. Was aware of limeted ammo so I tried monster kill which makes troopers/sergants more dangerous. When I took the red key, I couldn't stop and ended in a lava pool, maybe a way out or hurting lava is needed. to automatically get Doomsday to load the pk3 file (or any other file) create a "/Auto" directory under /data/jdoom/ and insert the pk3 file in there. in Doomsday 1.7.12 it will accept pk3 files with actual wads inside. WTF is with WTF? It's cool and all, but it's oddly WTF. Thanks. :D Heh, I thought the red key would be difficult to find, but I liked the idea so I left it. I thought people would be able to hear the floor moving sound. I liked Loaden too, nice theme and gameplay. Well, let's just say it was one of the stranger things I've played. I, however, like strange. well im glad someone liked wtf. it took me way to long to make it and then the frustration from not being able to get 2 levels into the same wad drove me crazy hence the name what the f*ck. Thanx for the reviews ;) On gameplay: I hope it shows, but i tried to make a map you can't get lost in :) I know, I know, that's easy with such a small map, but the other, bigger maps, will also be by this principle: you can't get lost! I just 'hate' it when a map has such a complex structure that I get the feeling I'm missing halve of it, or I can't really find my way out/don't know what I'm doing. The idea behind Loaden is: The first room you enter must be like a hallway/hub. There are all your options, that's where you always return. 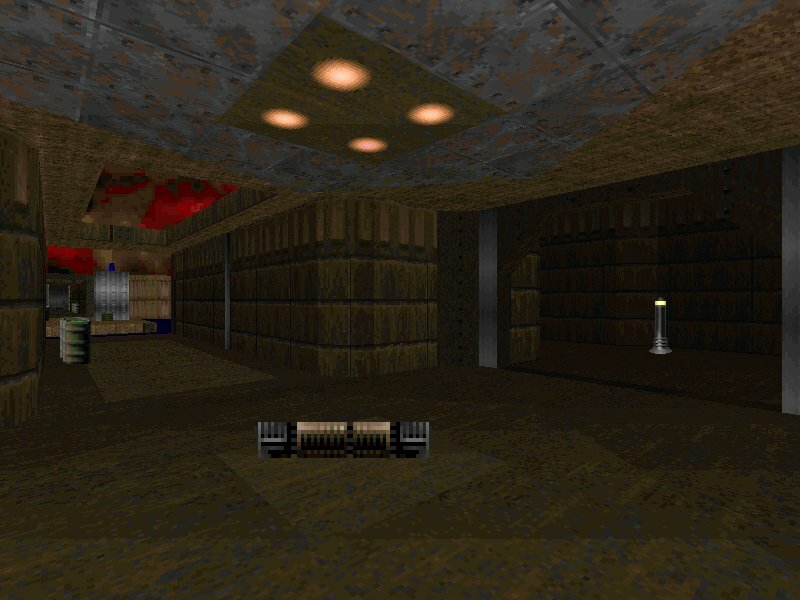 I love the Quake1 map where you can see the silver key disappear in a hole in the floor to a room beneath it just before your eyes :) 'Now, how the f*** am i gonna get that d*** key!' There's a concept, there's a game! The detail and texturing will be far better than it is now, i just wanted to release something for review (motivation :D). I just converted the map to ZDooMHexen format, so i can add the slopes i planned. Please note, when editing news threads, make sure the icon is set to NEWS and not DUMB. the skies in wtf are from the strife demo wad. 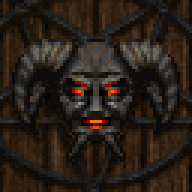 doom2_2.wad is the best wad ever! 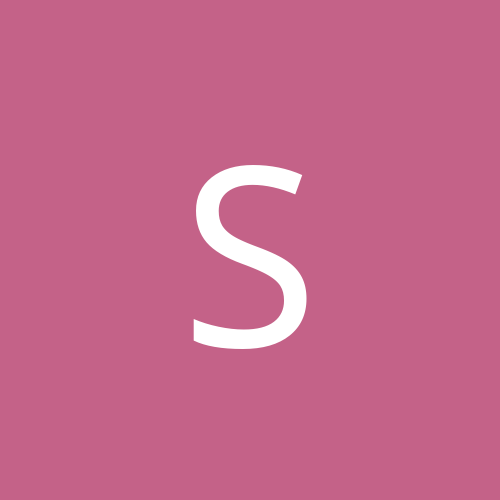 the indivisual files (.wad .def etc) found in the zip manually. which were also packed as pk3. By the way the same goes with quake 3 arena pk3 files. This is where i got this tip.